AP Limited Editions presents a very unusual rendition of Cherry Blossoms crafted through a special process that combines the decorative techniques of Chinkin (Gold and Silver inlay), a special metal inlay technique and the application of Raden by the Nurikomi method. 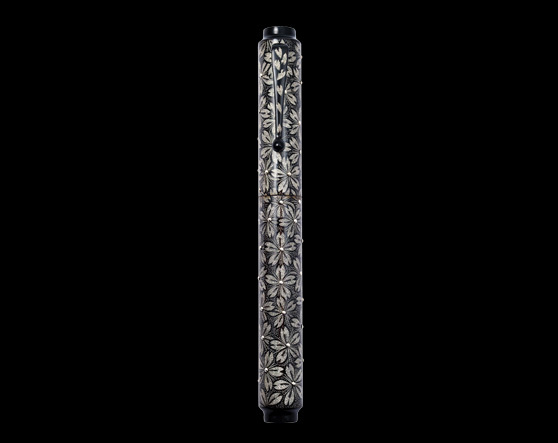 The surface of the pen is adorned with minute Silver Balls which form the center of each flower and have been individually attached and precisely placed by a specialized inlay process. 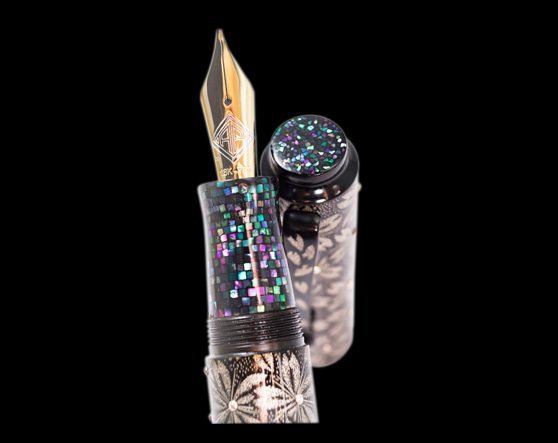 The nib section and top and bottom of the fine writing instrument reveals shiny pieces of Abalone, that add the perfect accent to this magnificent product.